The Pakistan Telecommunications Authority has virtual private networks. Pakistanis are banned from accessing social networking sites and all internet traffic is monitored, but virtual private networks (VPNs), have enabled internet users to connect to the web undetected. 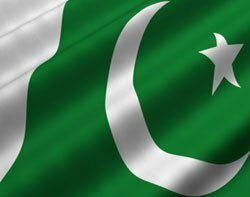 Pakistani authorities have banned the use of virtual private networks in a crackdown on internet access. Pakistanis are banned from accessing social networking sites and all ordinary internet traffic is been monitored. The use of virtual private networks (VPNs), however, has enabled internet users to connect to the web undetected to access banned websites and send e-mails without detection and interception by authorities. The Pakistan Telecommunications Authority has ordered all internet service providers (ISPs) to alert authorities if any customers use VPNs, according to the Guardian. Banks and other businesses that use encrypted connections to protect sensitive data - such as account numbers and passwords - will have to apply for special permission from the Pakistan Telecommunications Authority. The official explanation for the ban is that it prevents the use of secret communication channels by terrorist organisations. The ban on VPNs in Pakistan follows similar crackdowns on encrypted communications in neighbouring India and in China. In the past year, Blackberry maker Research in Motion (RIM) has been in talks with India, Saudi Arabia and the United Arab Emirates over providing effective ways of monitoring encrypted mobile communication channels. The UK Home Office also held talks with RIM after it emerged that London rioters used Blackberry Messenger to organise looting sprees across the capital in August.